BAINBRIDGE ISLAND, Wash. – Paul Bianchi started out with a four-bay garage at his secluded home in this quintessential corner of the Pacific Northwest. But the cars have long been relegated to being parked outdoors in favor of oak barrels, stacks of wine and other equipment. This is the plight of the small commercial winemaker, and Bianchi wouldn’t have it any other way. Bianchi is the owner of Amelia Wynn, an award-winning 1,000-case winery he launched in 2008 after a decade of home winemaking. He’s just a 35-minute ferry ride from busy downtown Seattle and is part of a growing group of Bainbridge wineries that now numbers seven. In two bays, Bianchi has crammed in 70 barrels of wine made from some of Washington’s best vineyards. Elsewhere are cases of finished wines, lab equipment and devices that provide him with the ability to bottle and label up to 30 cases an hour. On a list of famous Washington wineries, Amelia Wynn would not likely be pointed out, but that is changing as more and more wine lovers are discovering Bianchi’s talent. 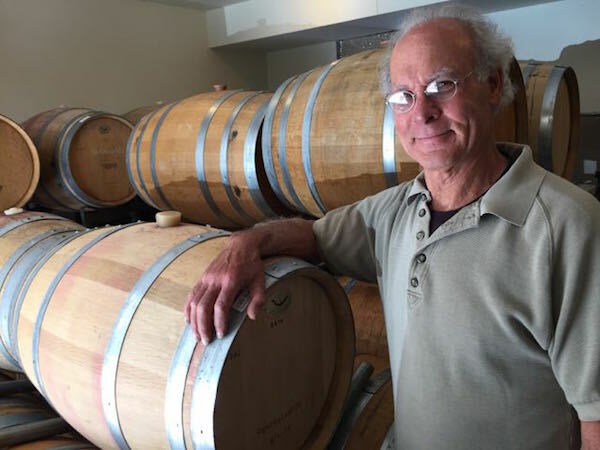 Earlier this spring, two of his wines – a Cabernet Sauvignon and a Petit Verdot – earned gold medals at the Cascadia Wine Competition. We recently caught up with Bianchi at his winery to talk about how he came to winemaking and how he manages to navigate ferry schedules, traffic and mountain passes to bring his grapes from the distant end of the state. Bianchi has long enjoyed wine, but a six-month stay in France – he was engaged to a French woman – solidified his love and commitment to the French culture. It gave him the opportunity to visit wineries large and small and see what they were doing. “They’re not all Lafites,” he said with a smile. And he’s first to admit, Amelia Wynn is no Chateau Ste. Michelle. Upon his return from France, two friends encouraged him to join them to make a little home wine. That was the warm 1998 vintage, and they brought in grapes from Oregon and Washington, including famed Red Willow Vineyard in the Yakima Valley. That got him hooked, and within a decade, he decided to go commercial. In 2008, Bianchi’s twin granddaughters were born. 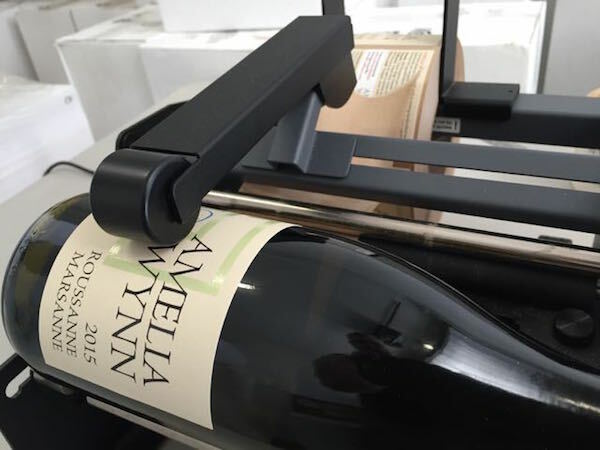 Their names, Amelia and Wynn, sounded better than his, so his nascent winery became Amelia Wynn. The grandchildren are now 7, and they are proud to have their names on thousands of bottles of wine each vintage. And those wines come from some of Washington’s best vineyards. 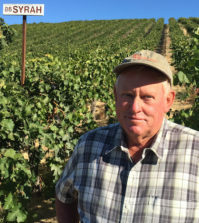 A majority come from Red Mountain, primarily Scott Williams of Kiona Vineyards & Winery. 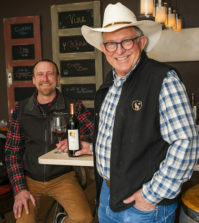 Bianchi also purchases grapes from esteemed Dwelley Vineyard in the Walla Walla Valley, Art den Hoed Vineyard in the Yakima Valley, Stillwater Creek Vineyard in the Frenchman Hills and Six Prong and Destiny Ridge vineyards in the Horse Heaven Hills. Bianchi is the first to note that winemaking is much easier when you start with great grapes. He added that even in more difficult vintages – most recently the cool 2010 and cooler 2011 – a good winemaker can coax good wine from Washington fruit. And he does it all in that four-bay garage. In just 1,200 square feet of space, Bianchi crafts 1,000 cases per year. The 70 oak barrels fill half the space. He has a small bottle filler and corker, as well as a hand labeler. When wine needs to go into bottles, Bianchi makes a call for volunteers amid his friends, fans and customers. At a top speed of 30 cases per hour, the task can easily fill a Saturday. But as with anything that includes good friends and food, it’s enjoyable work. So why Bainbridge Island? For Bianchi, the decision was made decades ago. It had nothing to do with wine and everything to do with education. In 1978, he was living in Seattle and working on Lake Union. Today, Bianchi’s day job is as a residential general contractor. The wine takes up a lot of any free time he squeezes out of his schedule. And during harvest, that means a lot of trips across the Cascade Mountains for grapes. In an average year, Bianchi will rack up 4,000 miles during harvest. He has a pickup and trailer for regular loads and will rent a bigger truck for larger tonnages. Because he doesn’t own the right kind of press to squeeze the grapes for his white wines, he has that task performed at wineries in Eastern Washington. Sometimes on those long drives when he’s optimizing his schedule to be able to get on the Seattle ferry and avoid heavy traffic, he wonders if the effort is worth it. But it all comes down to enjoying life on this island in this little corner of the world. He lives on 4 acres of secluded, wooded land. The 9 acres next to him will likely never be built on. He’s 12 minutes from the ferry dock, yet it feels like a world away. Of course, when you make 1,000 cases of wine in your garage, you hope to sell it to fellow wine lovers. And Amelia Wynn customers typically need to come to Bianchi to do so. While he has little retail presence in Seattle, Bianchi does have a tasting room on Winslow Way, a five-minute walk from the Bainbridge ferry dock. The cruise ships that crowd Seattle’s waterfront also are great for business because visitors often head to the Pike Place Market, the Space Needle or the ferry docks. 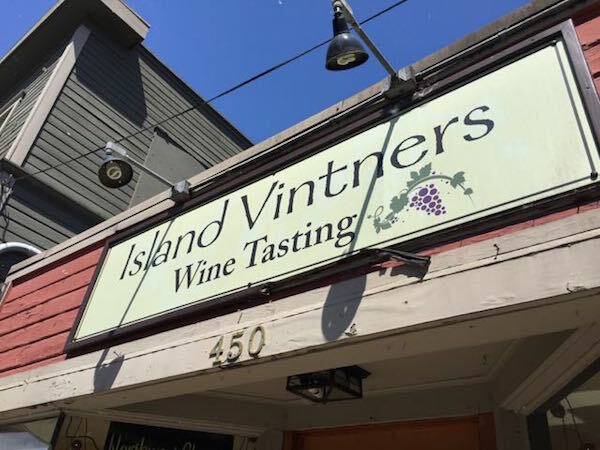 Bainbridge Island is now home to seven wineries, all in a serene setting just 35 minutes from bustling downtown Seattle. 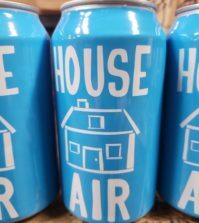 That’s almost irresistible to wine lovers who might spend that long battling traffic to get to Woodinville in the same amount of time. Four of the wineries are a short walk from the ferry dock, including Amelia Wynn, Eleven, Fletcher Bay and Eagle Harbor. Rolling Bay, Bainbridge Vineyards and Perennial Vintners will require transportation to make the short drive to their tasting rooms. Seven wineries is a full day of wine tasting. Add in a brewery, a distillery, some galleries, coffee shops and restaurants, and you’re looking at either a pleasant weekend on the island or multiple day trips. 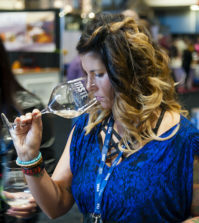 If you’re looking for an excuse to visit Bainbridge Island’s wineries, Wine on the Rock takes place July 23-24 and includes wine, live music and food at each of the seven wineries. All-inclusive tickets are $30.